A Face can tell you much more, than your ears can hear or your eyes can see! Read Face Expression, find scam face, fake joy or understand what person think when you speak to him... 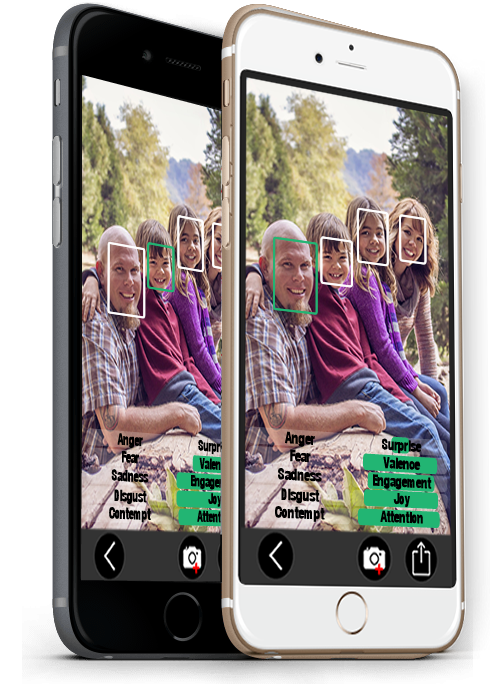 Turn your iPhone or iPad into powerful Face Emotion Analyzer. Use it for job interview or simple with your friends... enjoy what a face can tell you. Read face emotioneasily with camera device. Use scam-face tools to read people face and know what they are thinking. Know what think a person when you take a selfie with him.Not olnly a face emotion reader it's also a truth machine can read what person think. Easily read face emotions of people on photo or on live camera captured image. You can import photo from device album. For example: take photo with you and your best friends, your mother, your wife , your sister or who you want, and simply know what emotion they had when the photo was maked. Make special Interview with face emotion analized and discover what emotion live, the person you are interviewing. For well analyze all emotions, you can also record a movie and review it after. 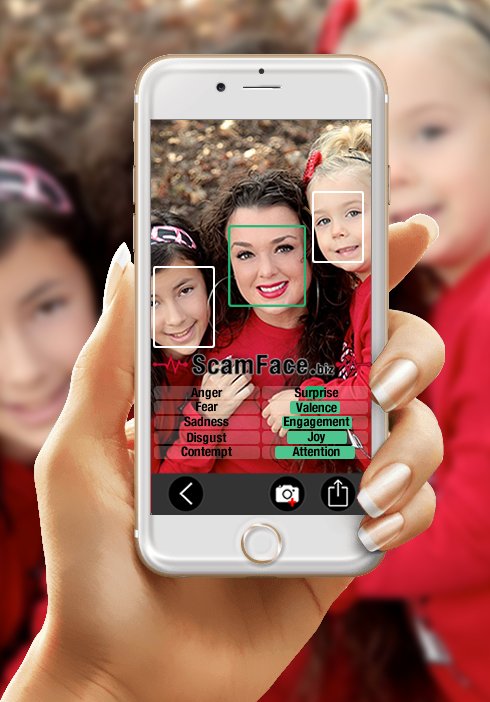 Analyze faces directly from camera.Use camera to real time analyze face, so you can target a face in live view. Also, you can target faces on movies or faces appears on website or tv. You can also register a movie analyzed results.